Dental disease is the most common disease seen by veterinarians. In fact, 70% to 85% of pets over the age of 2 have some form of dental disease. Dental disease causes pain and accounts for the loss of teeth. Poor dental hygiene and untreated dental problems can be the cause of serious bacterial infections and health problems for your pet. If dental problems are left untreated, your pet’s heart, liver, and kidneys are in danger of being infected by bacteria. Your pet's dental procedure is considerably more involved, time-consuming, and more complex than your own dental care. It requires general anesthesia, a day's hospitalization and the skills of several people, from a veterinarian to veterinary technicians and animal attendants. A physical examination and pre-anesthetic blood testing is the first step of your pet’s dental procedure. After making sure your pet is in good general health, we administer anesthesia and begin the cleaning process. We use a periodontal probe to check your pet's teeth for pockets under the gumline where periodontal disease and bad breath start. An ultrasonic scaler is used to clean each tooth above the gumline while a curette cleans and smoothes the teeth under the gumline. Our dental technicians then polish your pet's teeth to create a smooth, lustrous tooth surface that becomes more resistant to tartar and plaque buildup. Intraoral radiographs (x-rays) are taken to assess the health of the teeth below the gums where we cannot see. When the technician is finished, one of our veterinarians examines your pet's teeth and gums. If additional dental care is needed, we performed the work at this point. Finally, fluoride is applied to the teeth to strengthen the enamel and decrease tooth sensitivity. 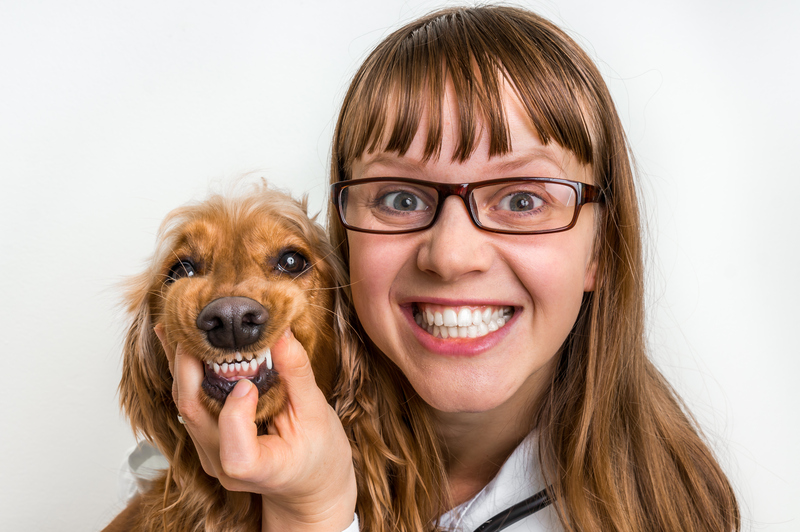 It is possible to add years to your pet's life with proper dental care. Dental hygiene can increase your pet's health, vitality and wellbeing. We want to make sure your pet leads the best life possible! Your Pet's Dental Procedure: Why Anesthesia? Dental tartar is firmly attached to the surface of teeth and needs to be removed. An ultrasonic scaler and sharp hand instruments are used to clean your pet's teeth. Any suddenmovement can cause injury to your pet or to the individual performing the dental procedure. Dental cleaning is performed above and below the gum line. Scaling the teeth above the gum lineusually does not cause discomfort; however, scaling below the gum line can cause discomfort. Most pets will not hold still when you ask them to, therefore, X-rays taken on a moving pet are blurry, distorted, and not of diagnostic quality. 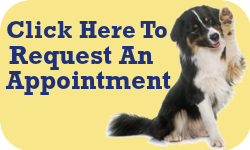 Schedule your pet’s dental procedure today. You’ll be glad you did and so will your furry friend!